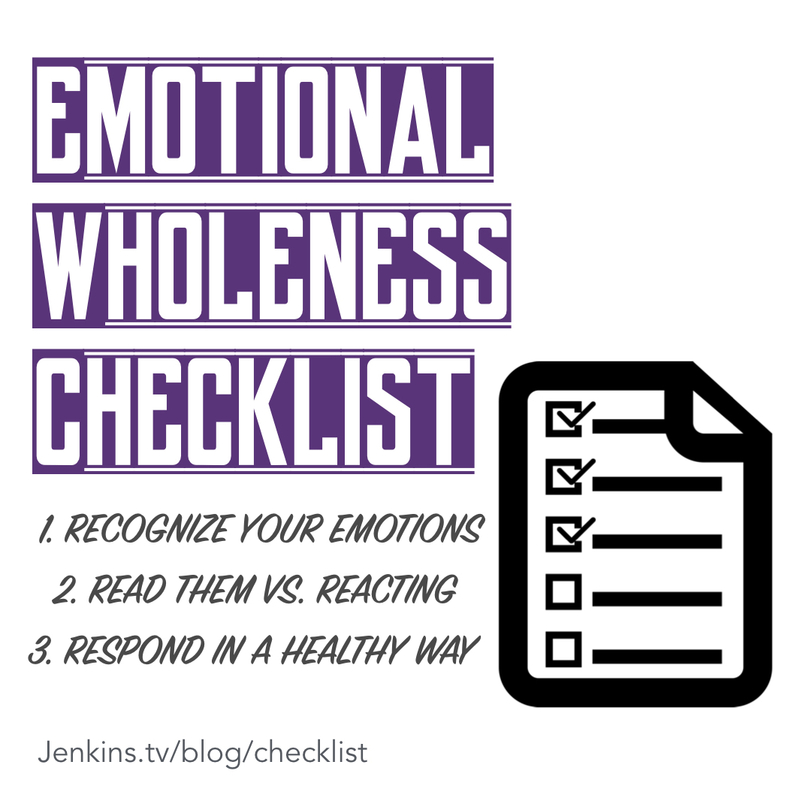 Emotional Wholeness involves recognizing your emotions, reading what they say before you react, and then responding to the world around you in a healthy + intentional way. I know. Way easier said than done. Especially, because… well… our emotions are involved, right?